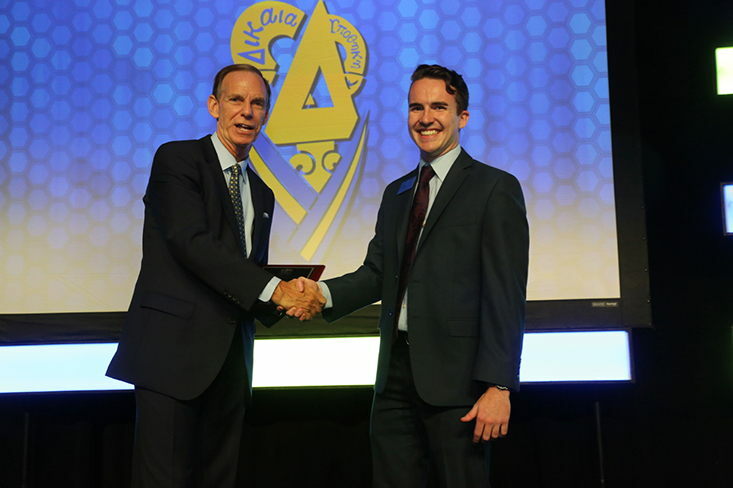 Congratulations to all of Delta Upsilon's award recipients from the 2018 Leadership Institute! July 31, 2018 - The Leadership Institute is Delta Upsilon's annual celebration of brotherhood. 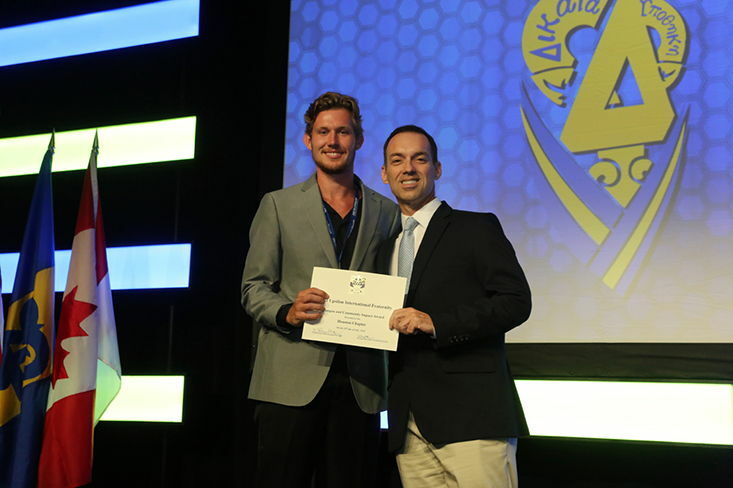 At LI, Fraternity business is conducted through the Undergraduate Convention and Assembly of Trustees, and educational sessions are hosted for undergraduates and alumni. It is also DU's opportunity to recognize the best and brightest chapters and individuals from the last year. The highlight of the Leadership Institute is the announcement of the seven Sweepstakes Finalists and Sweepstakes Trophy recipient. On Saturday, July 28, the Kansas State Chapter was named the Sweepstakes Trophy winner for the sixth time in seven years (and third year in a row). 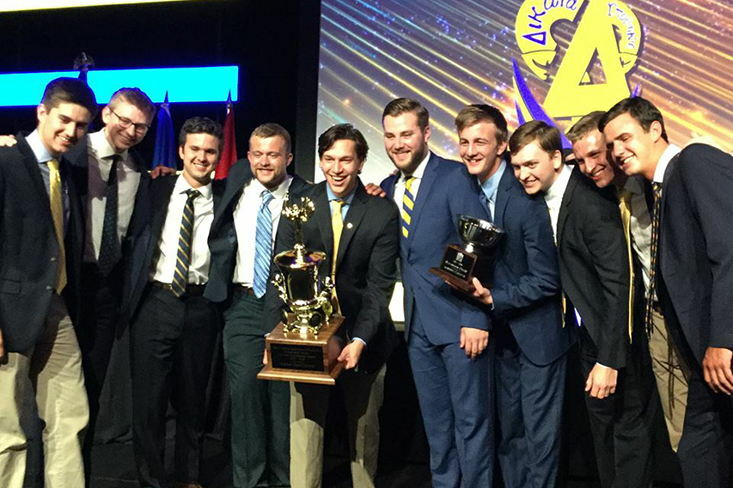 Two chapters (Michigan Tech and Wichita) were named Sweepstakes Finalists for the first time, while the Central Florida and Clarkson chapters became finalists for the first time in many years. See below for a full list of 2018 Award Recipients.